This exceptional hall is a space, where various fantastic universes join together to greet all visitors with open arms… And to draw them in. If you want to discover new worlds, where reality is completely different from ours- well, then you’re in the right place. 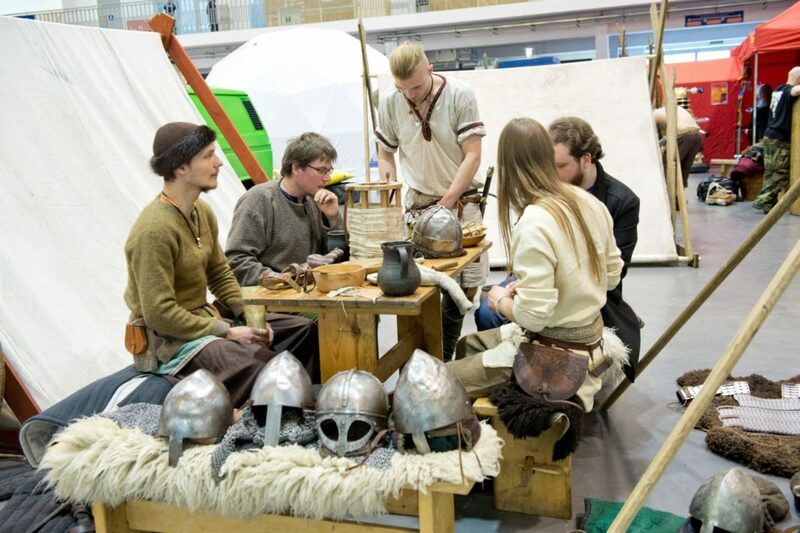 The Vikings will invite you to their table with pleasure, and tell you long stories about their battles and triumphs. 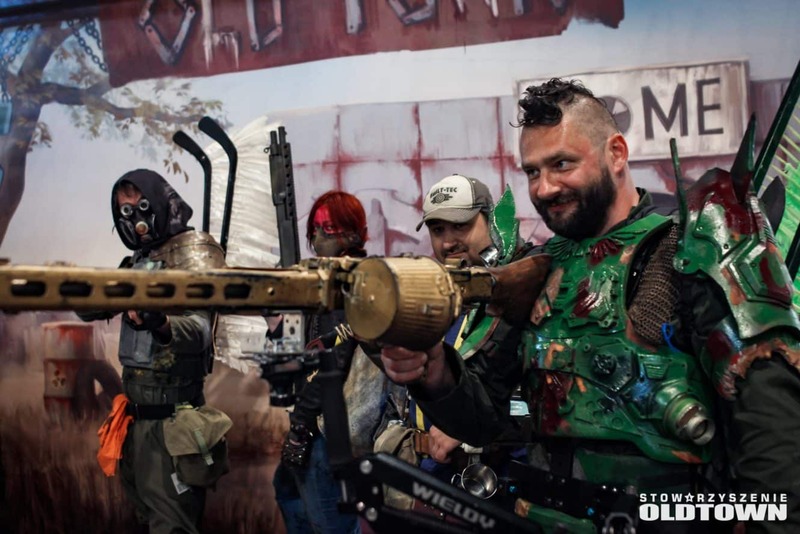 The post-apocalyptic survivors will share with you everything they can, and a handful of caps will give you prestige. Maybe you’ll even meet the carefully hidden Elves, with whom it’s hard not to rejoice, even when Sauron is brought up. The Sailor Senshi will show you the kind of magic you didn’t know existed, and the Putty Patrollers… Ehem, Putties are something to see for your own self.Believe me, you won’t regret it. And if you still haven’t had enough, then turn your eyes to the Arena. Every year it witnesses numerous struggles of great warriors, arms training, dance schools or fantasy sports events. Previous years brought us clashes of gigantic armors, Quidditch and Jugger matches, as well as the performances of Japanese idol groups. So what can you expect this year? Absolutely everything. The Tolkien-themed village invites you to visit the oldest fantasy universe! 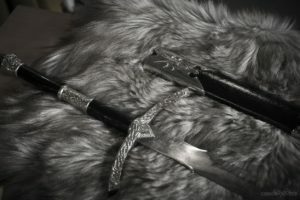 Meet the dwarfs and the elves, try on the weapons and armors of the characters from “The Lord of the Rings”. Strike a pose for a photo by the gates of Moria or the Isengard flag or try your hand at elven calligraphy during our workshop. Visit us and we will take you on a journey through Middle Earth! In the previous report for the High Lords of Terra, the Inquisition described what we manager to discover on the thus far uncharted area of the Segmentum Solar during Pyrkon. Mutants, unsanctioned psionics, xenos, heretics, followers of dark deities, filthy artificial intelligences. Is that all, though? Of course not! We also saw righteousness, traces of reason and faith in One God – The Emperor. It may not be much…if only a rather slippery path leading to salvation. And yet, it is a chance you are getting. We will bestow upon you that of which there is few and far between in the Empire, something even less common than the sight of the Emperor, Beloved by All, himself. You will be bestowed with grace and a chance to redeem yourselves. Be warned however, do not waste it, or you will be left without hope and we will have but one, straightforward answer to your hopeless situation and we will reply without as much as blinking… EXTERMINATUS!!! Life after the apocalypse can also be beautiful – if you prepare for it well. Every one of us has seen more or less terrifying visions of the end of civilization as we know it countless of times. What if the time after the Apocalypse could be idyllic, only occasionally interrupted to obtain food and care for your surroundings in a manner only a little more complicated than everyday chores are? You will find answers to this and many other questions on post-apocalyptic survival in our camp! Of course, just like every year, you can also have your badge uniquely made on an old-fashioned typewriter. There will also be a possibility for you to win two hand-made survival knives. The Old Euopean Martial Arts Camp – a place where every daredevil can try their hand at fighting with cold steel. 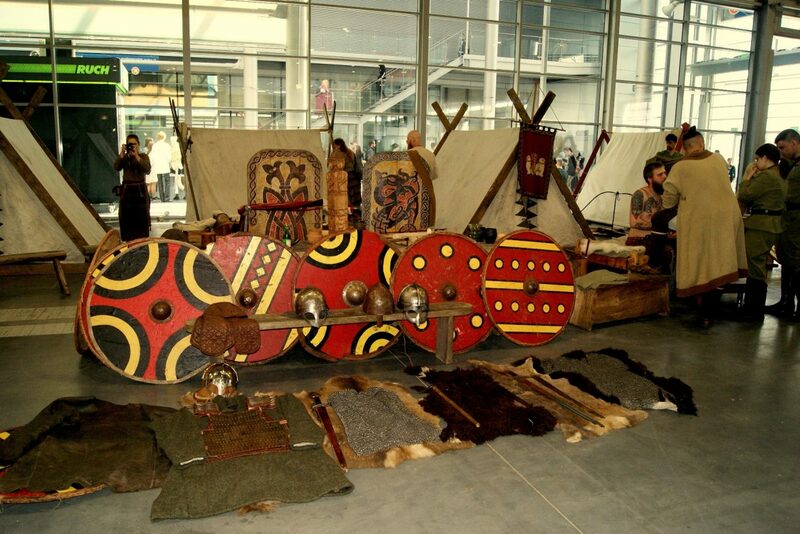 At our camp you will find swords, rapiers, sabres, helberds and daggers! 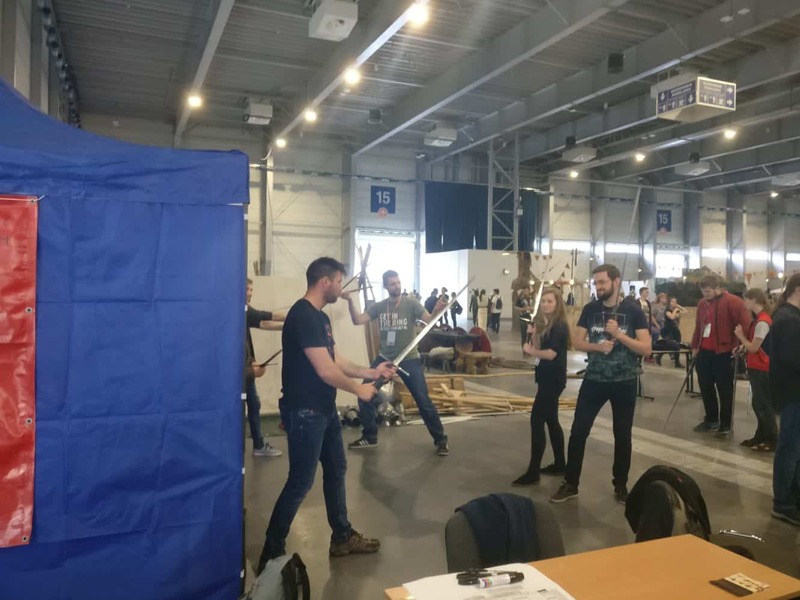 You can pick up each of the weapons and learn the basics of fighting with them, drawing from the knowledge preserved in medieval fencing treaties. The brave ones will also have the chance to fight using safe foam weapons. Come visit us! Is this the White Eagle Camp?! No! It’s the King’s Secret Lab! Access is granted only to those cleared to enter by His Majesty Justyn Łyżwa or those carrying a pass. You get to see the remains of a stalwart orc with its detailed description, as specialists in orc anatomy are still trying to explore the mystery that is the physique of humanity’s worst enemies. You will see the motorbike belonging to one of the most efficient policemen in the Stronghold, Dariusz „Bushi” Ulfig! You will get to play with (just kidding, no playing, only looking!) one of the atomic bombs dropped on the Stronghold by The Greenies! Don’t sweat it, we gutted it and the shell is (almost) non-radioactive…If you want, you can flip through the book on Orc anatomy and see what the disgusting creatures look like on the inside…And that’s just the beginning of what we have in stock for you! You simply must come visit the King’s Lab! Drużyna Piastowska Medvedis and Bractwo Wojowników Kruki will showcase campsites from the beginnings of Poland. There, you’ll find tents, furniture and everyday household items modeled on the ones used by Mieszko I and Bolesław I the Brave. You can meet warriors training before battle, craftsmen perfecting their skills and fair women preparing food. He visitors will get the chance to try on epoch costumes, try their hand in handicraft and learn more about the beginnings of our country. 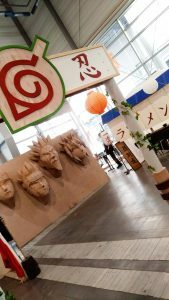 If you feared that there were less and less Naturo cosplayers at conventions – you can breathe a sigh of relief – The Naruto village is coming back! Has it always been your dream to earn a shinobi rank from Hokage himself? Or maybe you’ve always wanted to get in the Ninja Academy and participate in the workshops and lectures there? The secrets of Orochimaru’s Laboratory and the Uchiha Clan Temple are waiting to be discovered and the cozy interior of Ichiraku Ramen simply begs to be the place you rest a moment, hiding from the clamor of Pyrkon. The Konoha Project entourage will make sure the fandom village full of cosplayers and set design related to the series comes to life, providing an abundance of attractions and contests to make your time pass even more pleasantly. Licho is a new faction stemming from the post-apocalypse themed OldTown festival. Started by former members of the Wakatili tribe, it builds a distinctive atmosphere in the spirit of the what is broadly understood as tribal and voodoo culture, combining it with the modernistic vision of the fall of civilization. 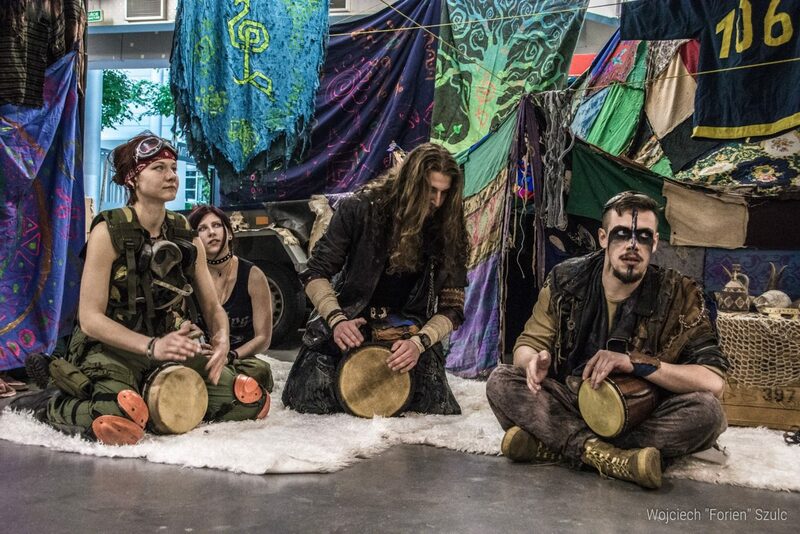 At this year’s Pyrkon, the clan wishes to invite you to play the drums at the camp together and have a jam session. The viceroy’s throne will also be available for photographs, and volunteers will have the chance to try bodypainting. 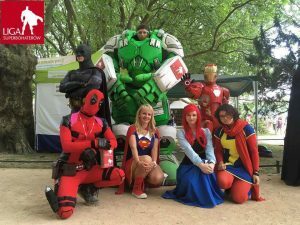 Superhero League – A group of friends, volunteers and, most importantly, great cosplayers, who travel all around Poland, visiting children in hospitals and orphanages or hospices. We wish to invite you to visit their stand, where you can take a photo with your favourite character, listen to how the costumes come to be and learn more about their activities. For the younger participants of Pyrkon, we have special workshops and Supherhero badges in stock! Have you ever practiced shooting mutants? Or driving a rover through a nuclear wasteland? 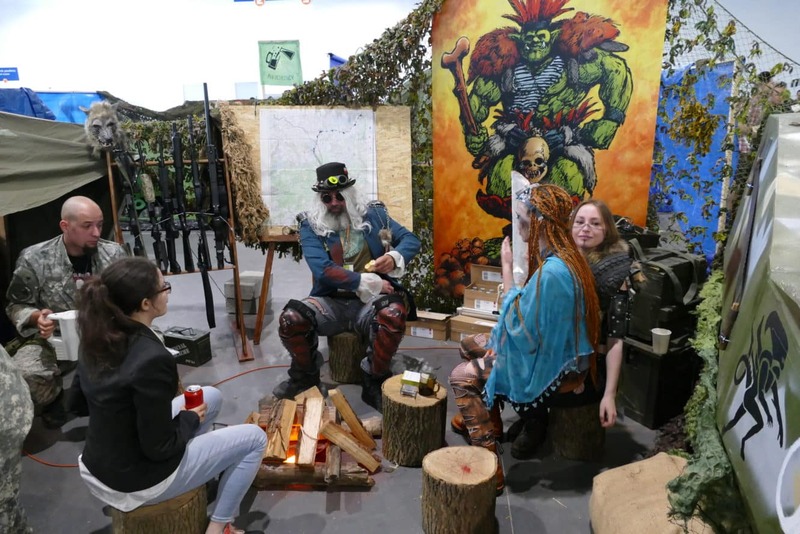 The organizers of the OldTown Festival, the biggest post-apocalypse themed LARP in Europe, wish to invite you to visit their station, where you will have the chance to try all those things, and many more! 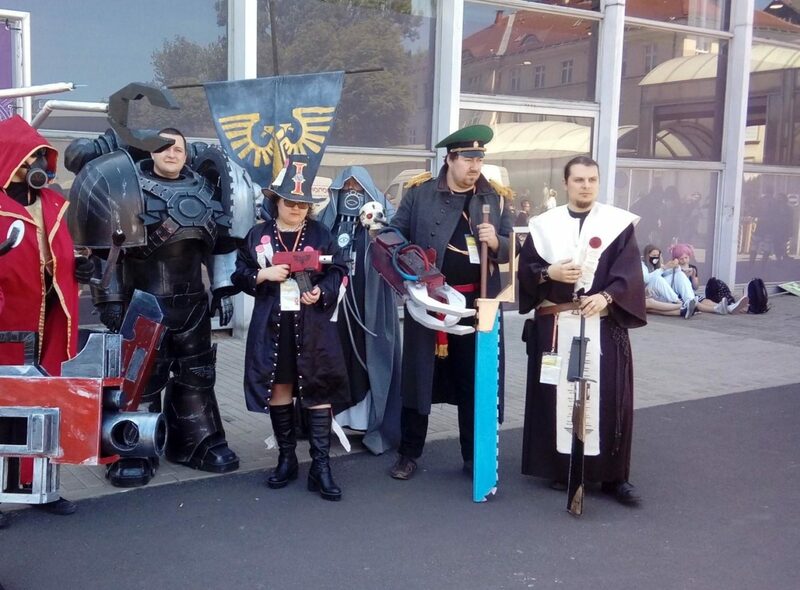 Once again at Pyrkon, the gates of one of the halls will be the entrance a hundred years into the future, to a world after nuclear destruction. In addition to all the attractions with loads of prizes to win, you will have a photo background straight from the set of MadMax for you to use. You simply must also check the Arena schedule – it will be full of workshops, shows and sports from the morning hours and after dark, there will be a party until the last man’s standing…Or maybe even longer. We wish to invite you to visit a city full of legendary characters you will be able to talk to and spend time with, accompanying them in everyday activities. witness a meeting between the tailor Chwaliszew with the early Slavic ruler Lech. Help him make pouches during the sewing workshops. take a peek at how the kitchen boys work, making the rogal świętomarciński crescent rolls. As they prepare, they will let you in on the secret of the traditional recipe and have you taste those regional delicacies. During the show, you will have the chance to talk to Saint Martin himself! help poor Maciejowa look for her beloved billy goats. Each challenger gets a prize! solve the quiz checking your knowledge of the legends of Poznań, which will help save the world from the apocalypse! Stary Marych will be there to help you! join the early Slavic warriors and listen to the stories of the beginnings of our country, Lech himself will reveal to you as he spins his tale. Come to the audience with prince Przemysł and princess Ludgarda…if you show due respect, they will allow you to sit in their thrones. In the evening, as the village prepares for the night’s sleep, an investigation will be held, as we try to prove who murdered the princess! 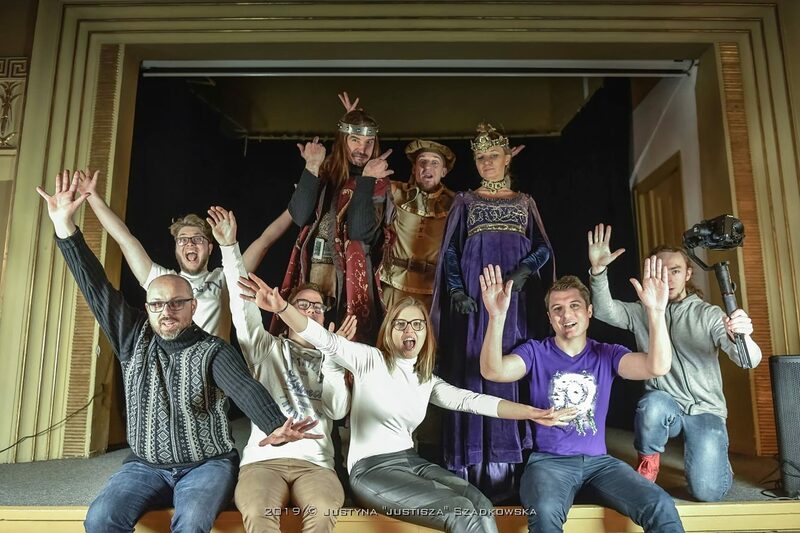 You will follow a Herald, who knows almost all the legends of our city, around the village, and the Poznańskie Legendy team will show you the behind the scenes of their film productions they created in cooperation with Pyrkon TV. Embark on a journey through the legendary Poznań! 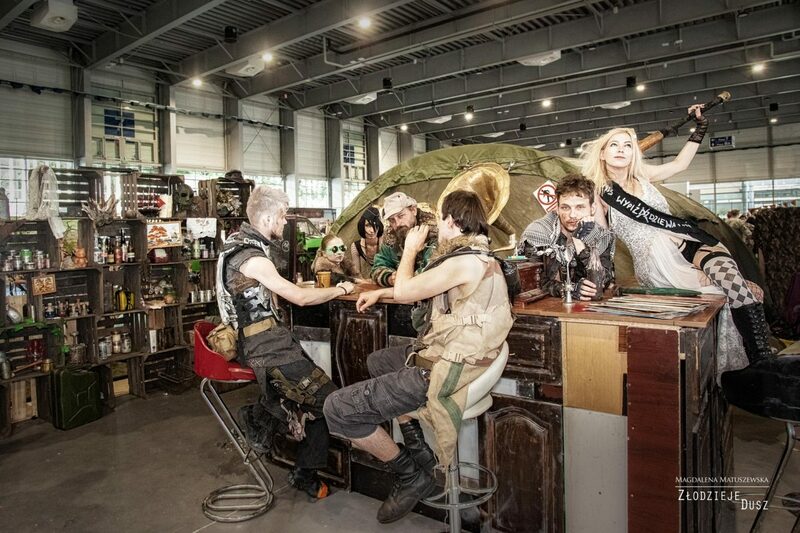 Alkochemicy invite you to visit an atmospheric post-apocalypse themed cafe straight from Fallout or Mad Max, where you can get coffee or tea in return for bottle caps, the post-apocalyptic currency. No bottle caps? You will surely find a way to earn some – in the end, where to earn them if not in a cafe, full of tasks for eager challengers to take up? 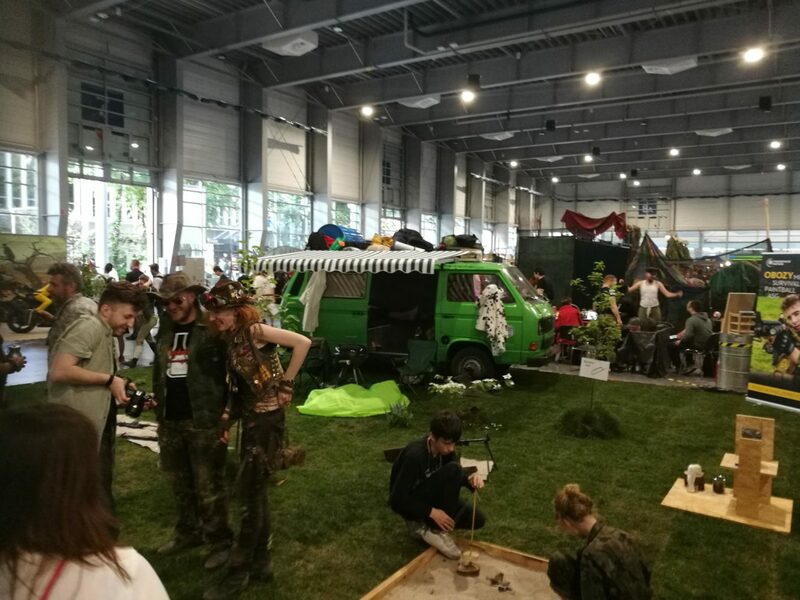 Come by the life source of the post-apocalyptic village, where you will learn what jugger is and sign up for a tournament; where you can listen to stories about Poland after the apocalypse and about places worth visiting. Here, you will have the chance to see an exhibition about Poznań after the apocalypse – you will learn what Poznań has to offer to the newcomers and how the city crumbled, and yet there is still life there. We showcase both loot dug up from under the rubble as well as post-war achievements. If something strikes your fancy, we’re ready to tell you more! However, we understand the need to keep something to remember this event by. That’s why, instead of giving out the props, we will have a place ready for you, to take a picture with them. Totally pre-war looking! And it needs to be emphasized that a nice picture at a nice location is often more of a reason for jealousy than a prize won in a bottle cap lottery.